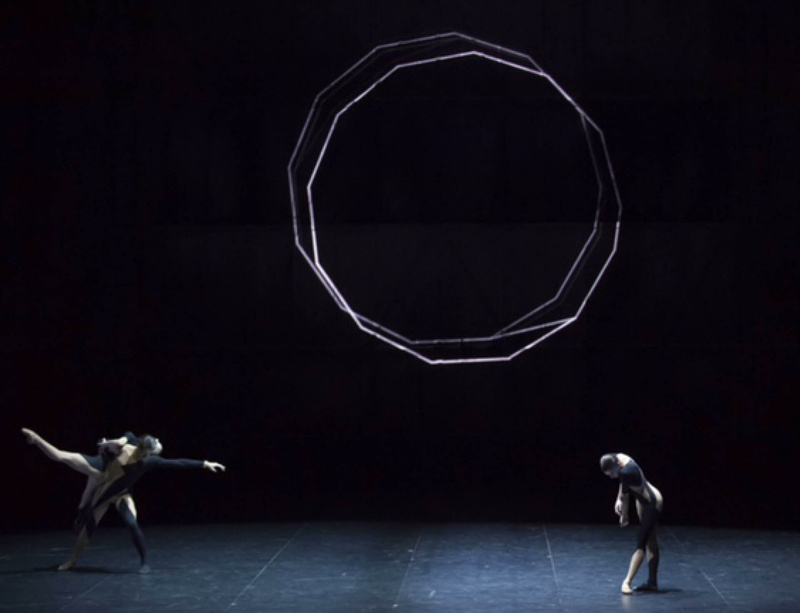 From 1 - 31 December 2015, in honour of the legendary French conductor and composer Pierre Boulez, Paris Opera presents a programme of new performances, including a newly commissioned work by Haroon Mirza and Wayne McGregor. Set to the score of Anthèmes II, composed by Pierre Boulez in 1997, Wayne McGregor's new ballet, Création, has been developed in collaboration with Haroon Mirza, who has created a captivating lighting system which interacts with Boulez's electronic score and the architecture of the Opera House. McGregor and Mirza have collaborated further by creating a unique prologue in which Mirza has created a score for live electricity that can be both seen, via an intervention on the opera lighting and heard through a surround sound system specially installed for the show. Both works have been developed in collaboration with fashion designer, Gareth Pugh and lighting designer, Lucy Carter.